For professionals who bill on an hourly basis—lawyers, accountants, and so on—time tracking is a critical part of the billing process. The adage time is money is almost literally true in these cases: The hours these professionals work correlate directly to the revenue they earn. And so a time-tracking tool that allows them to easily enter work hours and obtain summary reports at the end of the week or month is of critical importance. In this tutorial, I walk you through the process of building a simple time-tracking tool and deploying it on IBM Cloud. 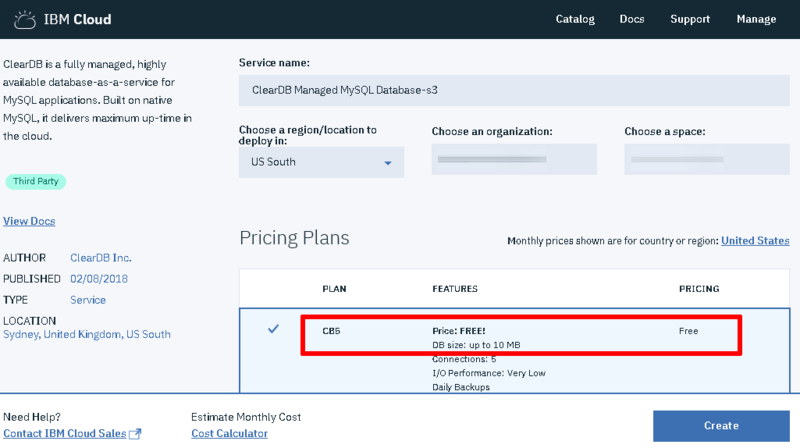 Along the way, I’ll introduce you to the ClearDB MySQL database service on IBM Cloud, which gives you a scalable and secure database in the cloud for your data. The example application described in this article allows a user to define one or more projects, each representing a customer job. The user can then enter, on an ongoing basis, the hours worked on each project, together with a brief description. The entered data is saved to an online database, and a web-based dashboard allows the user to view a report of hours worked per project. Alternatively, the user can download a CSV-formatted file with the same data. The entire application is mobile friendly, enabling users to enter data and view reports even when on the move (perfect for professionals who don’t have a fixed office or place of work). Behind the scenes, the application uses IBM Cloud’s ClearDB MySQL database service, which provides a MySQL database in the cloud. The application also employs Bootstrap to create a mobile-optimized interface, and the Slim PHP micro-framework to process requests. Once the necessary components have been downloaded via Composer, create the directories $APP_ROOT/public for all web-accessible files and $APP_ROOT/views for all views, where $APP_ROOT refers to the application directory. Using a virtual host mapped to the $APP_ROOT/public directory allows you to access application routes directly using the virtual host name. For example, use http://myapp.localhost/projects/save instead of http://localhost/public/projects/save. See “Related topics” below to learn more about virtual hosts and web server configuration for Slim framework applications. Slim works by defining callback functions for HTTP methods and endpoints. This is done by defining the corresponding Slim method (get() for GET requests, post() for POST requests, and so on) and passing the route pattern to be matched as the first argument to the method. The second argument to the method is an anonymous function, which specifies the actions to be taken when the route is matched to an incoming request. This file contains a simple Bootstrap-based user interface with a navigation bar, footer, and content area. This basic template is used for all subsequent pages as well, with only the content area changing. IBM Cloud offers a number of database-as-a-service options, one of which is the ClearDB MySQL database. As you might guess, this service provisions an empty MySQL database instance that can be bound to your application. The default plan offers only a limited quota of free storage. 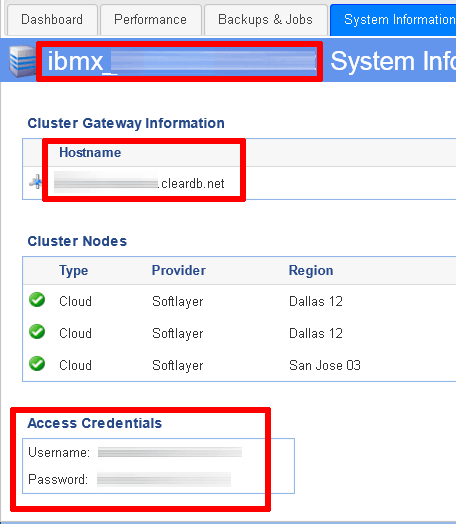 To see how this works, initialize a new ClearDB MySQL database service instance on IBM Cloud by logging in to your IBM Cloud account and selecting the “Data and Analytics” category from the navigation menu. Click the Create resource button and in the resulting list of services, select the ClearDB MySQL Database service and the CB5 free plan. Click Create to proceed. The ClearDB database service instance will now be initialized. From the service details page, open the ClearDB dashboard, select the new database instance and visit the System Information tab to view the credentials for the instance. Add these values to the application’s $APP_DIR/config.php file so that the application can connect to the database instance. Use these credentials to connect to the remote MySQL database (using a tool such as the MySQL CLI or phpMyAdmin) and create tables to hold project and time entry information using the SQL below. 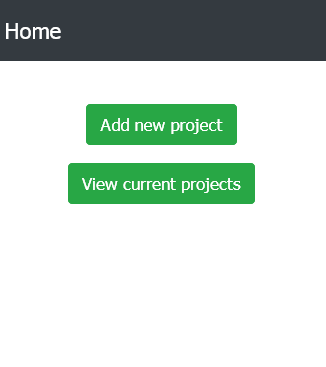 The two tables are connected to each other via the entries.pid foreign key, which references the projects.id field. Now that you have all the infrastructure in place, you can begin adding real functionality to the application. 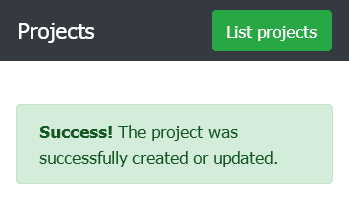 <strong>Success!</strong> The project was successfully created or updated. When the application receives a request for the /projects/save URL, it renders the form code from the previous listing and produces a result like the one below: When a user enters data into the form and submits it, the application needs to validate the data. If the data is valid, the application creates a new record in the projects table. However, before it can do this, it needs a connection to the database. This handler receives POST requests and uses the getParams() method to extract input parameters from the request. The handler sanitizes the value provided by the user to ensure that it doesn’t contain any dangerous characters, and then formulates and executes an INSERT query to create a new record in the project’s MySQL database. You will notice that it uses the database connection initialized earlier ($this->db) from the Slim dependency injection container to perform the query. Notice from the template code that each project includes links to edit and delete the corresponding record, and the project ID is included in the link as a URL parameter. Requests for these operations are handled by the /projects/save and /projects/delete handlers, respectively. 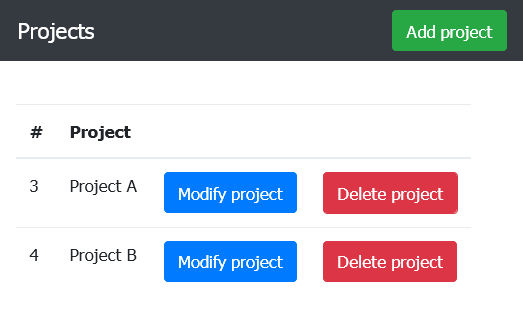 Editing a project involves displaying the same form as that used for creating a new project, except that the values are pre-filled. On submission, the input entered by the user is validated as before. This time, however, instead of an INSERT query, an UPDATE query is performed to update the project record in the database. These revised handlers now accept an optional project ID as part of the request URL. If the project is found, the handlers search the database for the corresponding record to pre-fill the project creation form. 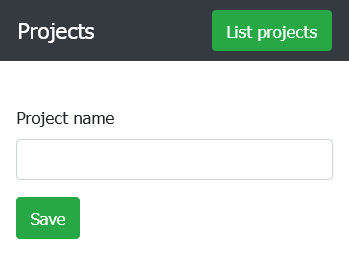 On submission, if the project ID is included in the input parameters, the handler executes an UPDATE query with the revised project name instead of the usual INSERT query. <input type="text" class="form‑control" id="name" name="name"
Note: The final screenshot above also displays links to delete projects. For brevity, the code for the project deletion handler is not included in this tutorial, but it can be found in the source code repository for the application. A similar approach will be used for deletion of time entries, therefore record deletion will be explained in detail in Part 2 of this series. The goal of this two-part series is to build a useful database-backed application with PHP and MySQL and leverage the security, scalability, and flexibility of IBM Cloud to deploy and host it. Part 1 has covered the basics, showing you how to initialize a cloud-based database instance and connect your local PHP application to it. It has also walked you through the basics of adding and modifying records on the cloud database instance using the Slim framework. Part 2 will build on these topics by showing you how to link time entries with projects and generate summary reports. It will also show you how to transfer your final PHP application from your local development environment to IBM Cloud, so that both application and database are running in the cloud. Make sure you come back for that!